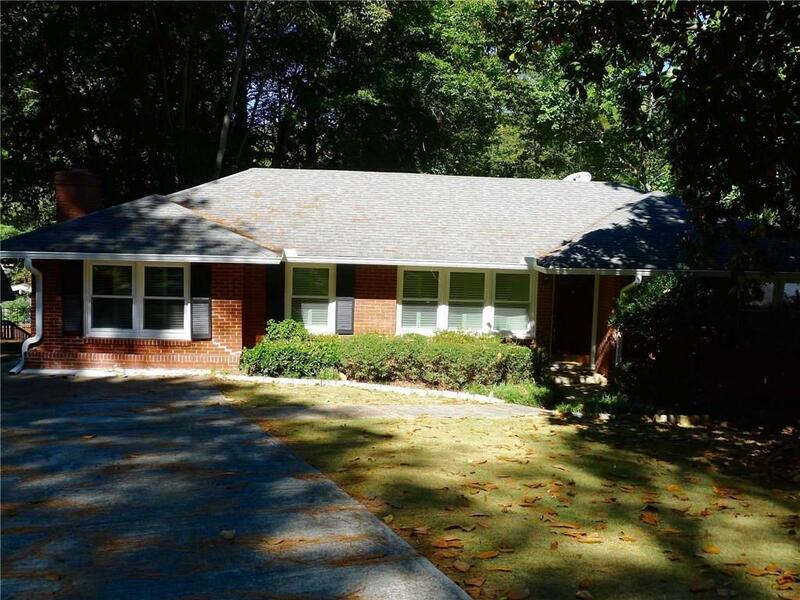 Updated Brookhaven Ranch with OPEN Floor plan and full unfinished basement for additional storage. Hardwood floors throughout most of main, Granite counters and new appliances in Kitchen with Fireside keeping/Breakfast room. Renovated baths with seamless shower door on Master, tiled floors and neutral paint throughout. New Windows throughout the home and very large deck overlooking fenced in back yard. Pets negotiable. Directions: From Lenox Mall, North On Peachtree Rd, Right On North Druid Hills Road, Left On Lindenwood Into Hillsdale, Right On Fairway Circle To 2099 On Left.